It was during his third stint in the Himalayas, on the back of a truck rattling across the Tibetan plateau, that Luka came up with the idea that eventually became TrekTrek. Since then Luka remains a devoted globetrotter, organizing expeditions to remote corners of the planet and travelling far and wide to meet people from other cultures and lands. 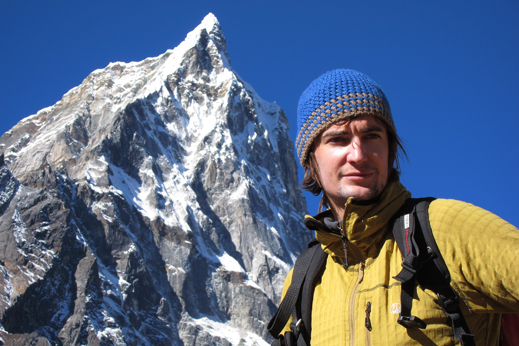 In the eighteen years since he first had that wild idea on the roof of the world TrekTrek has become a renowned active travel operator and Luka an ambassador of the Slovenian outdoors. Luka is married to the charming Vita and together they are parents to an intrepid girl who is a natural traveler and explorer. In his free time he still likes to sleep under the stars, climb mountains and negotiate single-tracks on his mountain bike. When not guiding TrekTrek tours you will often find him sailing his Beneteau First, exploring the hidden wonders of the Adriatic. Thanks to the wonders of technology, the TrekTrek office can be quickly packed up and moved to Dalmatia when the weather report looks promising!